The Rev. Shannon Fleck is a native of the State of Oklahoma, spending her childhood with her family in Guthrie. Rev. Fleck attended the University of Central Oklahoma in Edmond, OK, where she received a Bachelor of Arts in Sociology. After working for the State of Oklahoma for two years in Juvenile Justice, She began seminary at Phillips Theological Seminary in Tulsa, OK where she was the Matthew Thompson Fellow, Student Senate Moderator, and the recipient of the Sojourner Award, the Interpreter’s Award and multiple book awards. Rev. Fleck was Ordained by the Christian Church (Disciples of Christ) in 2011. Prior to her current position with OCC, Rev. Fleck served as the Associate Minister at Central Christian Church in Enid, OK where she was instrumental in beginning the weekly Welcome Table Ministry for the food insecure of Enid, a bi-monthly Suicide Survivor Support Group, a religious presence at Enid’s Pride Celebration, and multiple services and programs throughout the church year to accommodate marginalized communities. 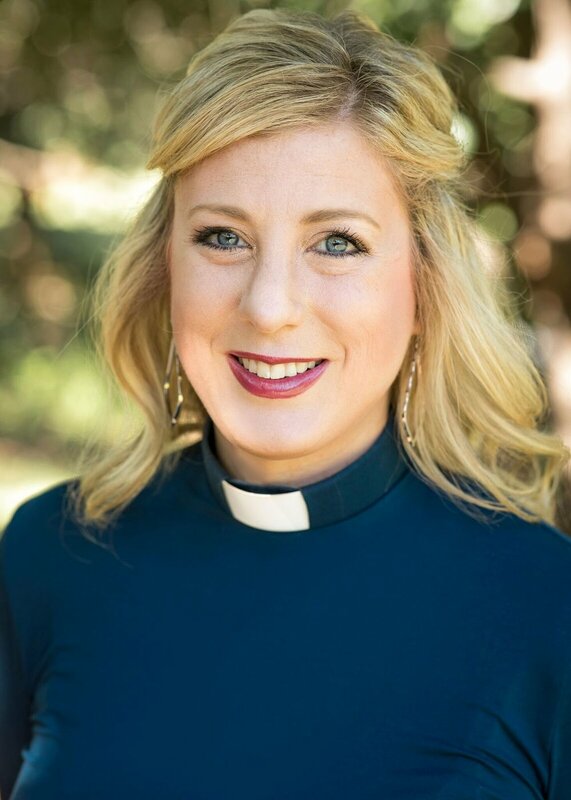 She has also served in ministry at the Little Rock Air Force Base Chapel in Jacksonville, Arkansas, First Christian Church in Yukon, OK, Western Oaks Christian Church in Oklahoma City, OK and First Christian Church in Guthrie, OK.
Rev. Fleck is the 2nd Vice Moderator for the Christian Church (Disciples of Christ) in Oklahoma and a member of the Advisory Board for the Dialogue Institute of Oklahoma City. Rev. Fleck was honored to receive the 2017 Human Rights Award from Church Women United and maintains a passion for the work of Social Justice and Interfaith Relations. Rev. Mary Gaudreau Hughes serves as Director of Emotional and Spiritual Care for the Oklahoma Conference of Churches. She is responsible for OCC’s disaster spiritual and emotional care ministries. Consistent with new National VOAD Disaster Spiritual Care Guidelines, she facilitates OCC’s training and credentialing of local spiritual care responders who are actively engaged in addressing disaster-related spiritual and emotional care needs. Rev. Hughes, a native of Oklahoma, is an ordained United Methodist deacon and licensed professional counselor who first entered into disaster response work following the 1995 Oklahoma City Murrah Building bombing. Since that time she has provided direct training, response, and consultation in more than two dozen states that have experienced disasters. Rev. Hughes served as a national consultant for the United Methodist Committee on Relief from 2005-2013 and was the designer of UMCOR’s national disaster spiritual and emotional “Care Team” program. As past-chairperson of the National VOAD Emotional and Spiritual Care Committee, Rev. Hughes helped facilitate the development and ratification of the National VOAD Spiritual Care “Points of Consensus” and served as chairperson of the National VOAD Disaster Spiritual Care Guidelines writing group. She has been instrumental in the creation of numerous resources, standards, and operational guidelines related to disaster emotional and spiritual care. Madison Moody serves as the administrative assistant for the Oklahoma Conference of Churches. madison is a native of Oklahoma growing up in midwest city, oklahoma. Prior to joining the staff at OCC, madison completed her master of arts degree in nonprofit leadership: arts administration from oklahoma city university. Prior to that, She received her Bachelor of fine arts degree in studio art from oklahoma city university.